After more than a decade of medical research, congressional hearings and a seemingly endless class-action lawsuit against the NFL, the legal battle over concussions in football is trickling down to the high school and youth levels. And it’s only the beginning of what promises to be a series of protracted legal cases concerning football players of every age and at every level of play. A California district judge ruled last Friday that a class-action lawsuit against Pop Warner, the largest youth football program in the country, could proceed, lending credence to the plaintiffs’ complaint that Pop Warner lied about making the league safer from brain injuries. The suit was originally brought by Kimberly Archie and Jo Cornell, mothers whose sons played youth football and were posthumously found to have chronic traumatic encephalopathy, a degenerative brain disease associated with the head trauma experienced in football. The suit is part of a growing number of lawsuits aimed at the NCAA, high school sports governing bodies and youth football leagues. Last year, a judge granted preliminary approval to a class-action settlement between the NCAA and former college football players to the tune of $75 million, absolutely none of which will go to the players themselves — $70 million will go toward a program monitoring college athletes for head injuries, and $5 million will go toward researching concussion prevention and treatment. Similar lawsuits have been cropping up in recent years at the high school level, with former players trying to hold accountable the state bodies that govern high school athletics. A former Illinois high school player brought suit against the Illinois High School Association in 2014, hoping to instill more regulations over how teams in the state monitor and treat head injuries. But the suit was curiously dismissed in 2015 by Judge LeRoy Martin, who declined to even consider the changes because they threatened to drastically change the sport (which was the entire point). Now with the current Pop Warner lawsuit, the litigation has finally reached the lowest levels of football. Concussion lawsuits at such levels correspond to recent medical research that shows that the dangers of the football aren’t limited to the NFL as previously assumed. Increasingly, medical researchers are finding that the long-term neurological defects of football start at the youth level, and increase with each year of participation. Specifically, boys who started playing football before age 12 have been found to have higher rates of depression and apathy, and more difficulty completing tasks and regulating their actions, according to a recent Boston University study. 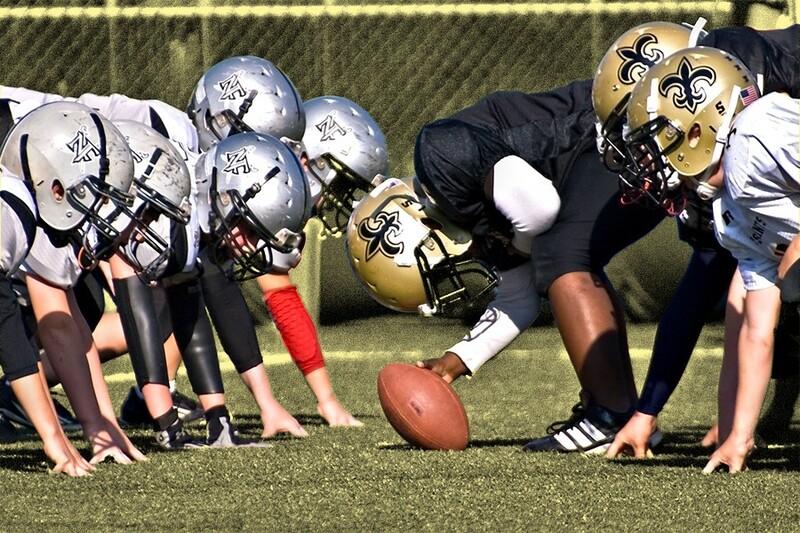 And a 2016 Wake Forest study found that just one year of youth football can cause measurable changes in a child’s brain — even if they don’t suffer a single concussion. As a general rule, though, you don’t sue an entity that doesn’t have money—like Pop Warner, a small nonprofit organization. Unless, of course, you’re trying to prove a point, which is precisely what Archie wants to do. Archie is seeking compensatory damages for her son, Paul Bright Jr., who died in a motorcycle accident at the age of 24 and was found in an autopsy to have CTE. But Archie has zero plans to settle out of court, she says. She wants to go to trial and expose the “lies” Pop Warner told her about making the sport more safe. The lawsuit also seeks to have Pop Warner implement more stringent concussion safety measures and protocols. Archie has been dismissed in the past an alarmist loon, especially by those who wish to frame the concussion debate as an attack on a hallowed American institution. But recent history has vindicated many of her claims — such as her long-held belief that former New England Patriots tight end Aaron Hernandez, who is widely believed to have participated in two murders, suffered from CTE when he was alive. Now, she’s predicting that suits like hers will become more commonplace in the years to come. And if current medical and legal trends hold — if more young football players are found to suffer from long-term brain damage, and those players become increasingly willing to bring lawsuits based on their injuries — it’s hard to believe her prediction won’t come true.